We went on a family outing to the Tate Modern in the summer of 2010. It was all concept and the ‘artisan’ had gone for a very long lunch. Where was the skill? Where was artistry? “SHOW ME THE BEAUTY! !” I wanted to shout. The best exhibits were the comments on postcards on the way out… Most of them written and drawn by art students. My silent appeal for something aesthetically pleasing was answered by a book in the gift shop. 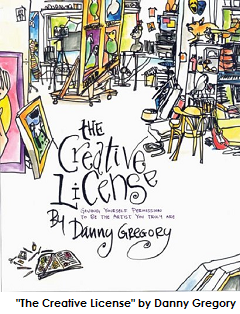 “The Creative License” by Danny Gregory invited the reader to embark on a journey of artistic self discovery with a pen and sketchbook (pencil and eraser forbidden… Self censoring was to be ignored). In observing and drawing everything in your everyday life, you would subconsciously be on the path to mastery of draftsmanship and, at worst, be improving your rudimentary skills every day. I needed no further encouragement. My discipline had commenced and the little girl who used to fill cheap notepads with visions of silver screen goddesses was now getting back into the Zen of Drawing with studies of household objects and observational studies on the school run. This entry was posted in Graphic Novel, News and tagged Book, Elsie, Graphic Novel, History on February 11, 2015 by Jessica Martin. “A Writer is a world trapped in a person” Victor Hugo. All my life I have been a dreamer. Fantasies have been the delicious elixir to wash down the bland reality of life. To go into a trance was a certain way to make my twenty minute walk to school disappear in a flash. I attended St Michael’s Convent Grammar School in North Finchley during the Seventies. 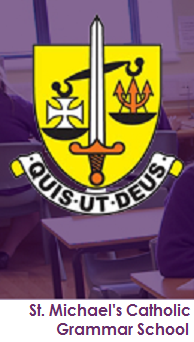 It was a highly academic all girls school with a distinctive purple uniform. It was a sought after school and I was proud to go there but the focus on sciences and sport were somewhat dry for my artsy, dramatic soul. My best subjects were Art and English. On that long walk to school I would run an ongoing film set in a parallel world. I imagined an alternate school called Saint Barbara’s, it had a red uniform and all the girls who went there had extraordinary skill-sets (what you would now term ‘superpowers’). There was Jane Borelli, who was a genius scientist… her father was a boffin based in Switzerland, Martina Addams was her best friend and writer of prodigious talent and the ‘star’ girl was a natural fifteen year old beauty called Ingrid Box who bore an uncanny resemblance to Liz Taylor. She was very bright and therefore was allowed time off from school to make films with big stars like Richard Gere (we were all in love with Richard Gere in those days). She was named Ingrid after Ingrid Bergman and Box after a woman film producer called Betty Box. I knew absolutely nothing about Betty Box apart from the fact that her name frequently came up in the credits for black and white British films that ran on television. So my predilection for inventing feisty teenage girls who could conquer the world was formed at an early age. Fast forward to adulthood and a successful acting career backed up by a degree in English and Drama. The lectures in English Literature had served to quash any pretensions I might have to write a great novel. I wasn’t living in the time of Swift or Dickens, I didn’t inhabit the landscape of Hardy or survive the great events worthy of a Tolstoy. What had my little twentieth century feminine voice got to offer up in this cacophony of Titans? My fantasies were destined to remain shut in my head where they belonged. I did occasionally let my creative children out to play. In between acting jobs I tried various forms of dramatic storytelling… I collaborated on a new musical set in the 1970’s pop industry called “Taste the Love”, I co-wrote a screenplay which got as far as pitching stage at Ealing Studios. Even then I’d bailed out of writing the whole piece myself because I lacked confidence. 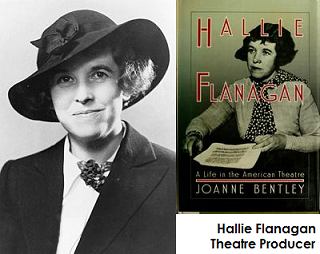 Eventually I did go the whole hog and wrote a one woman play about a little known theatre producer and social activist during Roosevelt‘s government called Hallie Flanagan. Then one day something began to hatch. I wasn’t even aware of it. This entry was posted in Graphic Novel, News and tagged Book, Elsie, Graphic Novel, History on January 28, 2015 by Jessica Martin. 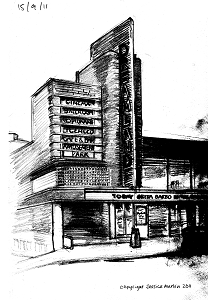 How did the inception of “Elsie Harris Picture Palace” come about? I think the story has been lurking in the shadowy corners of my subconscious since I was a little girl? I have very specific memories about my childhood… particularly around the age of seven. I remember my mother taking me to see a West End production of the musical “Sweet Charity” when I was six. The heroine was a dance hall hostess with a tight black dress, stiletto heels and a heart shaped tattoo on her shoulder. She was a sad clown for whom life offered no happy ending. As soon as I got home I got out the spiral bound notepad I always drew in and etched my childlike representation of Gretchen Weiler as Charity Valentine singing “If they could see me now”. That’s how I kept the memories of potent moments alive for myself… by drawing them and animating them for my soul’s keeping. By the time I was seven, I had seen Barbra Streisand in “Funny Girl” at the Columbia cinema in town, seen “The Sound of Music” at The Gaumont, North Finchley and probably drawn Barbra Streisand and Julie Andrews many times over. But one of my most mesmerising moments of showbiz enchantment was in front of the small screen one dreary Sunday afternoon. It was a very special television documentary about an enigmatic movie star who only needed a surname. The name when uttered could create magic more powerful than any Cabbalistic intoning. The programme opened with a long sequence of this beautiful actress playing a Queen who is about to renounce her throne. I could not take my eyes off this lady with her strange, languorous voice, tragic, forlorn eyes and regal bearing. The woman with thick eyebrows who was talking about her seemed very mundane in my opinion. I had no idea that Joan Crawford had inhabited the same Hollywood as this Garbo. From then on my tastes in film and heroine worship seemed fixed on anything black and white, from the thirties or forties. When my mum bought me Daniel Blum’s “A Pictorial History of the Talkies” she knew that for me this was as good as an illustrated bible. What has all this got to do with a book that I am creating now, so many years later? 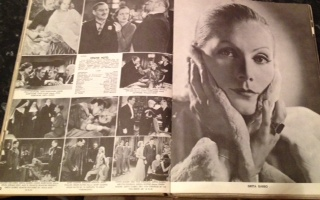 It is that the seeds for my love of the film industry, film books, the lost era of the thirties were all sewn at that early age and fertilised with that very special book. My mum was no nostalgia buff. On the contrary, she was the epitome of the swinging sixties young woman, very much up with the times, the fashions (how I struggled with her desire to put me in a mini dress for my First Holy Communion) but she recognised and encouraged my idiosyncratic obsessions. 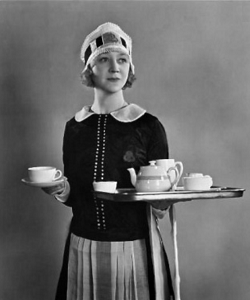 When we went for tea at The Cumberland Hotel in Marble Arch, usually after a film at the Odeon, she would tell us stories about when it used to be a Lyons Corner House and of the Nippies who worked there… waitresses in black and white uniforms who inhabited a romantic world of glamorous dining. So fast forward to a few years ago. Quite a few of my childhood dreams had been realised. I first became a singer with my father, then became an impressionist giving voice to many of the personalities I had idolised for years and then became an actress. I sang and danced on the West End stage. It was as if my drawing had been a magic ritual all those years ago… casting spells that would manifest in the fullness of time. The drawing, that had been my constant compulsion till I was eighteen. That was yet to be rediscovered. This entry was posted in Graphic Novel, News and tagged Book, Elsie, Graphic Novel on February 11, 2014 by Jessica Martin. Following the success of Jessica Martin's debut comic biography of 1920's silent movie star Clara Bow: "It Girl", having been celebrated as one of the "2013: Ten UK Small Press Comics You Need to Own!" by Broken Frontier, her second comic, a biography of 1930's Hollywood movie star Vivien Leigh "Vivacity" has been celebrated as one of the "2014: Ten UK Small Press Comics You Need to Own!". Jessica Martin is an experienced actor, singer, impressionist and voice-over artist, specialising in theatre musicals, theatre TV and radio plays and TV and radio commercials. A scriptwriter and artist, she is now working on her first graphic novel as a writer and illustrator. www.officialjessicamartin.mobi and this blog are Copyright © 2009-2013 Jessica Martin. Jessica Martin retains All International rights associated to Copyright, Trademark and Intellectual Property of the contents of this published information, Original Design, Layout, Presentation, Graphics and Written Word, in whole and in part. Should you see any content on any of Jessica Martin's official websites or blogs that you believe is not owned by Jessica Martin and has not been suitably credited, please notify the site's Webmaster and we will immediately properly credit the copyright or remove the specific content subject to agreement.